Dr. Peter Appel finished his doctorate in 1985 from the University of Virginia before starting with People’s Place Counseling Center. Drs. Appel and Wilson formed Appel and Wilson LLC in 2000. Dr. Appel received advances professional training from the William Glasser Institute including becoming certified in Reality Therapy, and then moving on to become qualified to offer training for the Institute. He has taught Choice Theory and Reality Therapy to groups of counselors, social workers, psychologists, teachers, pastors, probation officers, childcare workers and other helping professionals throughout the U.S., in Canada, Australia, New Zealand, and Ireland since 1984. 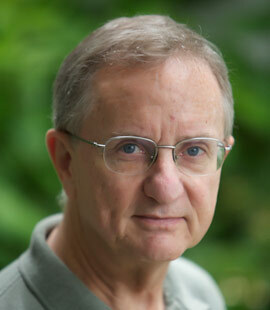 Dr. Appel has taught courses for the University of Delaware, Wesley College, and the Delaware Teacher Center. He has served on boards of the Campus Community Charter School, Positive Outcomes Charter School, Reality Therapy Association of VA, Delaware Mental Health Counselors Association, Delaware Association for Children of Alcoholics, and the Delaware Board of Examiners of Psychologists. He has served as the Northeast Representative and as the International Board of the William Glasser Institute. Currently, Dr. Appel’s practice is involved with problems of depression, anxiety, trauma, grief and relationships issues. Dr. Appel’s theoretical base of professional operations is from Choice Theory and Reality Therapy, which encompass a cognitive-behavioral approach, asserting that all behavior is purposeful, and connected to psychological needs (genetic instructions) that drive us to form ideal pictures to attempt to get our needs met. Behavior is learned, flexible, creative and may be more or less effective in meeting the ideal pictures and needs. Most of psychological counseling focuses on helping people re-evaluate their behavior and design more effective behavior to improve relationships, and the situations that they find themselves in. Dr. Appel resides in Millville with his wife of over 30 years, Lynn. They have 2 children. Dr. Appel enjoys reading, playing basketball, and has recently discovered acting.